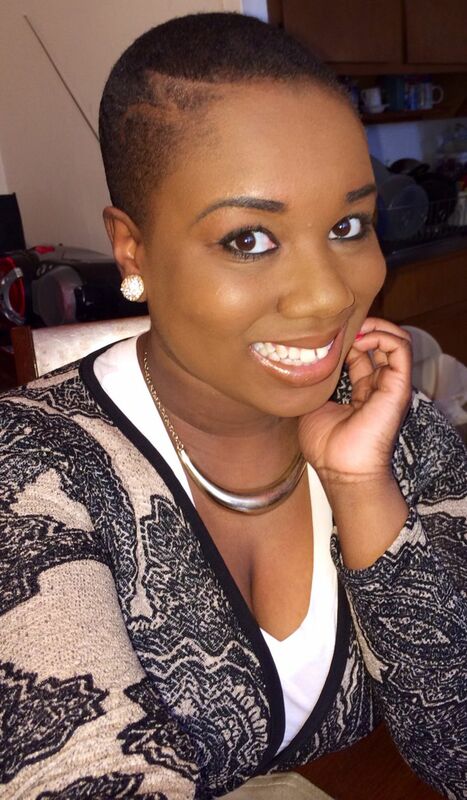 Are you a black woman who already has short and natural hair? 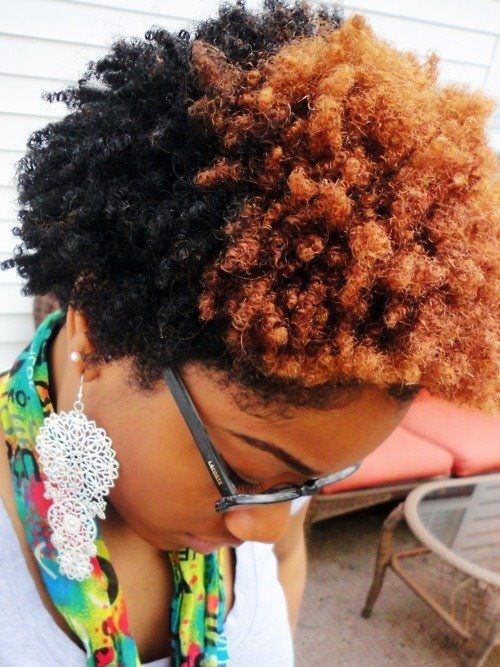 Or maybe you’ve got relaxed tresses and you’ve been seriously thinking about getting “the big chop”. 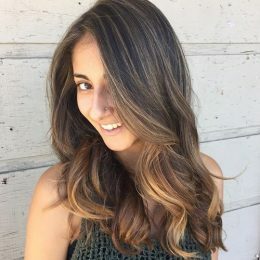 Either way, although there tends to be a pretty popular assumption that short hair comes with pretty limited options, that actually could not be further from the truth. 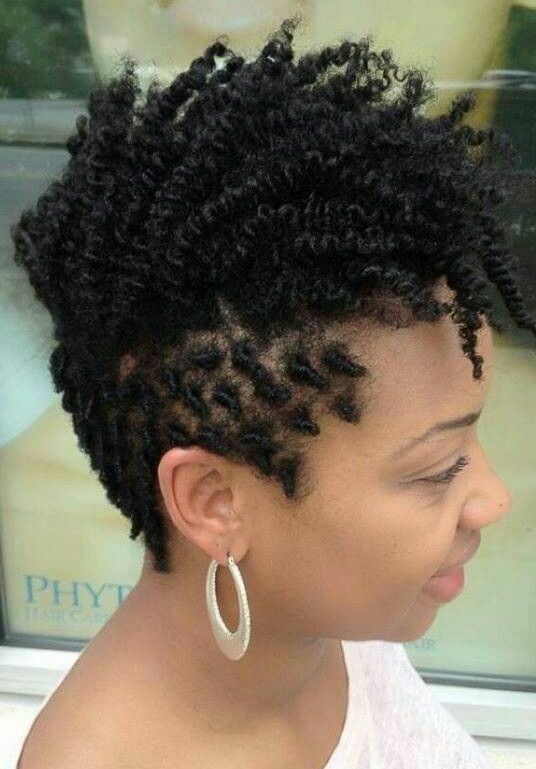 Being that natural hair is such a distinctive texture, there are all shorts of fun and creative ways that it can be cut and styled. Box cuts are a throwback to the 80s and the hip-hop artists who wore them (Kid ‘N Play immediately come to mind). 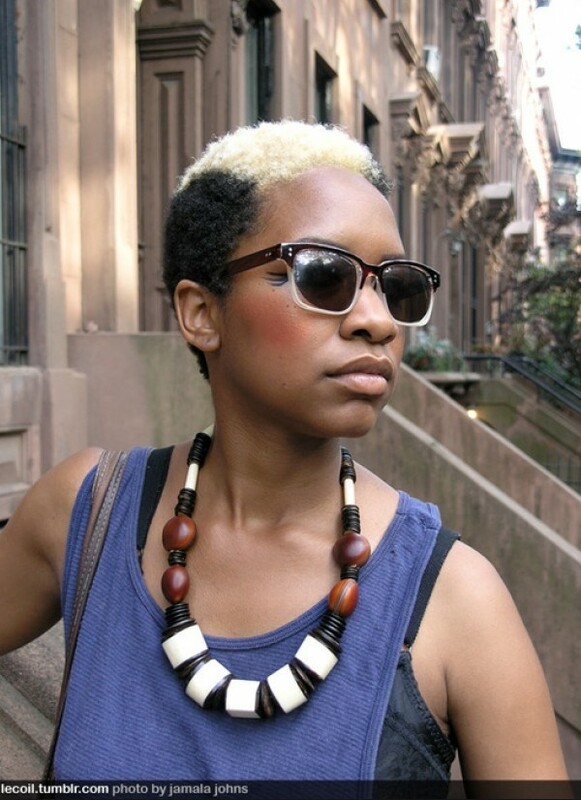 If you loved all things 80s, wear it proudly with a box cut in a bold color. This is a softer and more feminine take on the box. Only, it’s a bit more dramatic due to the fact that it’s two-tone: red on top and black on the sides and the back. Do you tend to wear a texturizer? 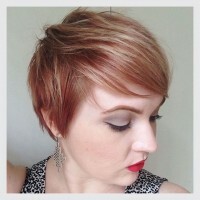 If so and you want to go really (really) low, cut your hair this short and then dye it a platinum color. 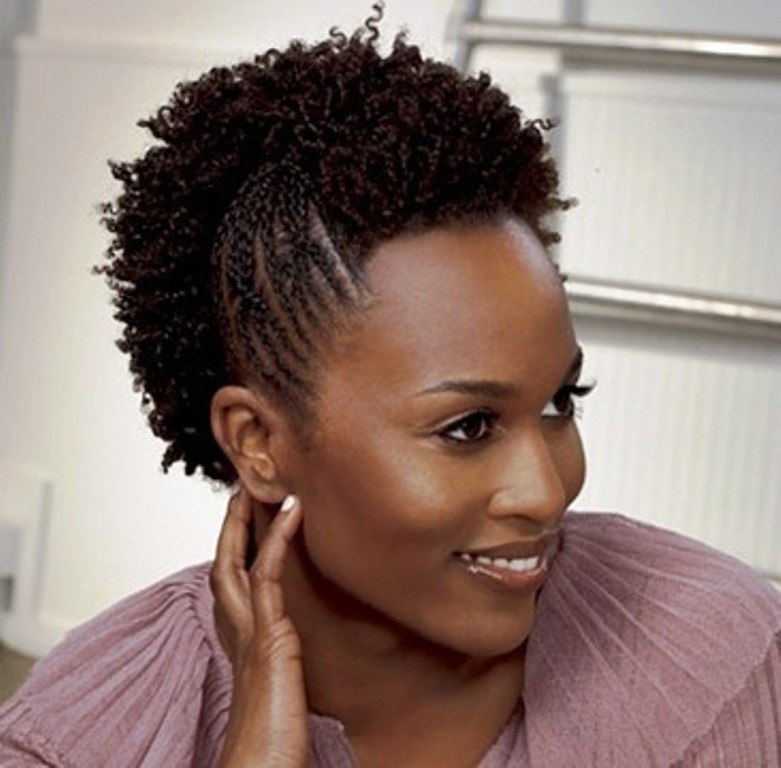 The loose curls created by the texturizer will give your hair a nice curl pattern. Sometimes, a change in the style is not needed. Just a twist to the color. Take this half-and-half look for example. 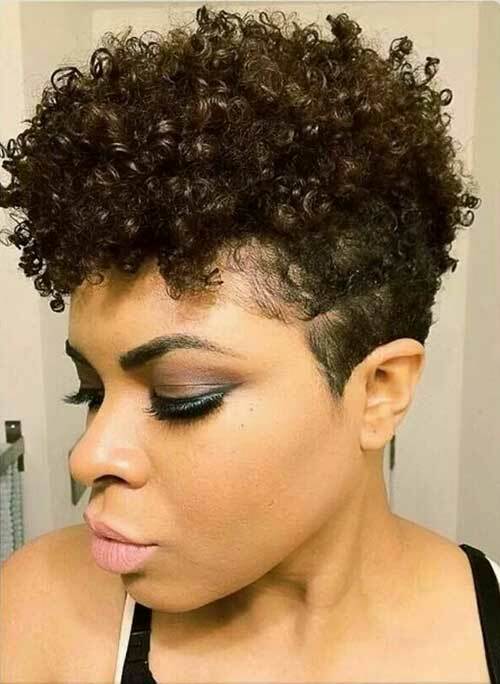 If you have a naturally loose curl pattern and a nicely shaped head, your hair would be so cute with a curly hair Mohawk—complete with some relatively-long sideburns. 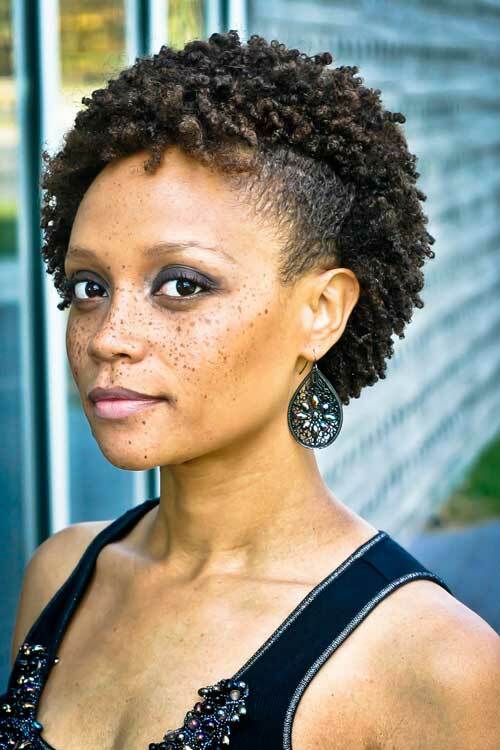 Here’s a look that will work quite nicely after the big chop. 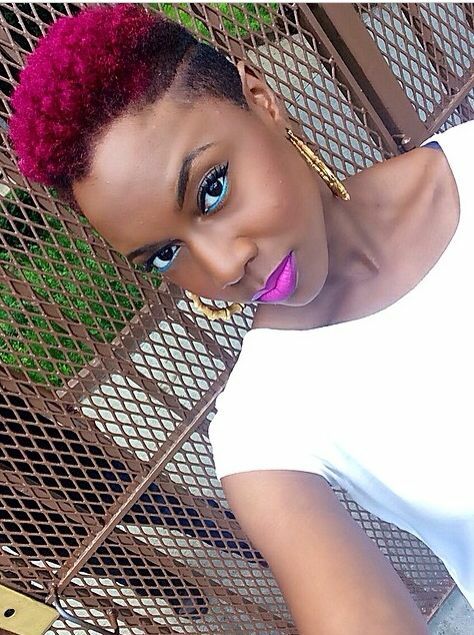 As your natural hair continues to grow, add some dimension with the help of some bright red hair color. Her freckles are about as addicting to look at as her hair. 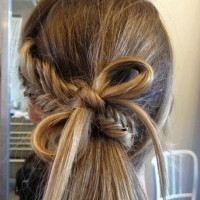 A few bobby pins or a hair comb is all you need to achieve this particular look. If you like fades but you want some volume, grow it out on top and don’t color it. That will help to give an even and thick visual effect. 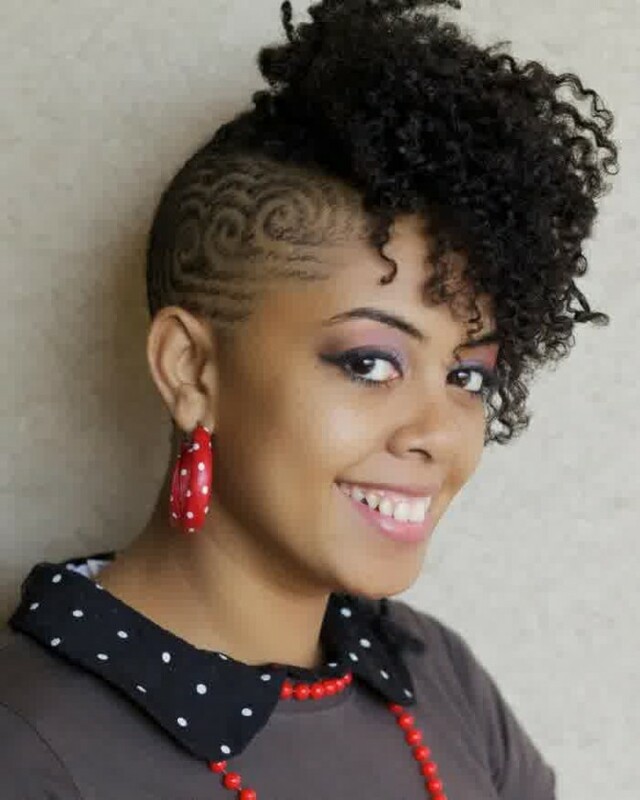 This is a creative way to style a natural Mohawk. Rather than wearing the top out all of the time, cornrow it every now and then. You’ll be the only person in the room with this look. We promise you. 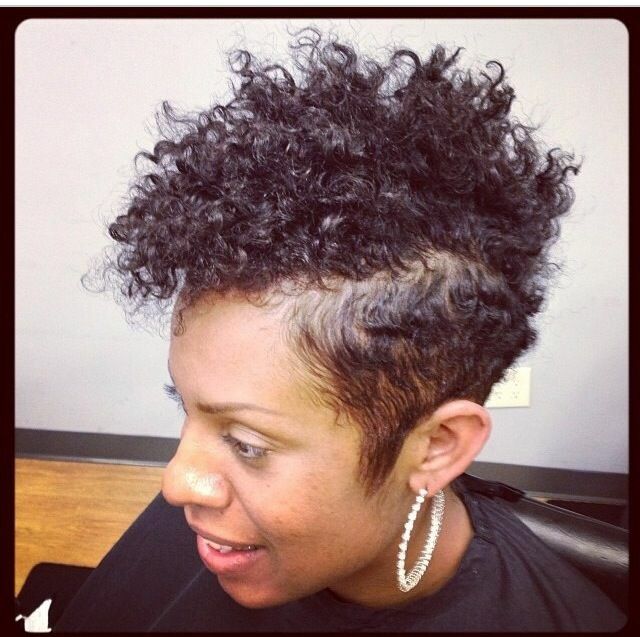 This is a short cut with a lot of curly length up top. What gives it a bit of uniqueness are the small lines that are on each side. You can create temporary ones with the help of a comb and some gel or you can get more “permanent” ones with the help of some clippers. 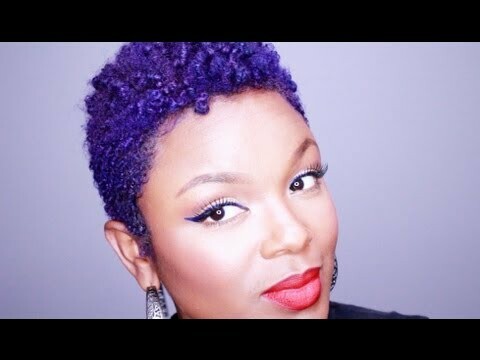 This is one of the cutest natural hair transitional styles we’ve seen in a while. 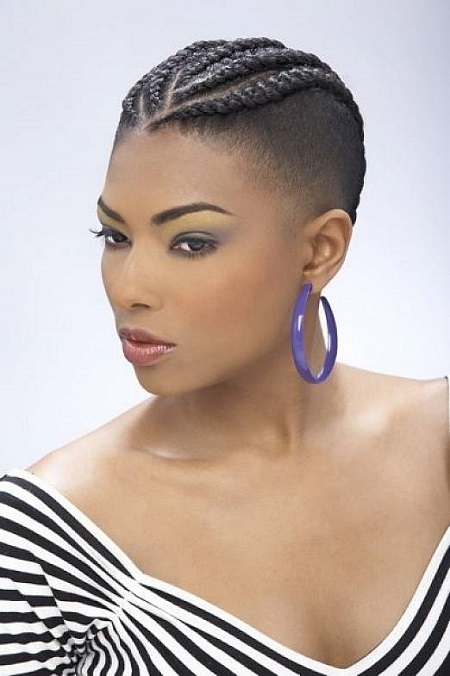 If your hair is all natural and you had a Mohawk that you want to grow out, try twisting the sides and leaving them twisted until they are the length that you desire. Heads that have a nice shape can rock a fade. Just make sure that if you decide to go with this style that you play it up with some jewelry and makeup (especially mascara and a bright and bold lip color). This cut would be pretty without the color but also a little on the side of bland. Oh, but it perks right on up with that platinum streak down the middle of it, doesn’t it? This is another throwback from the 80s. 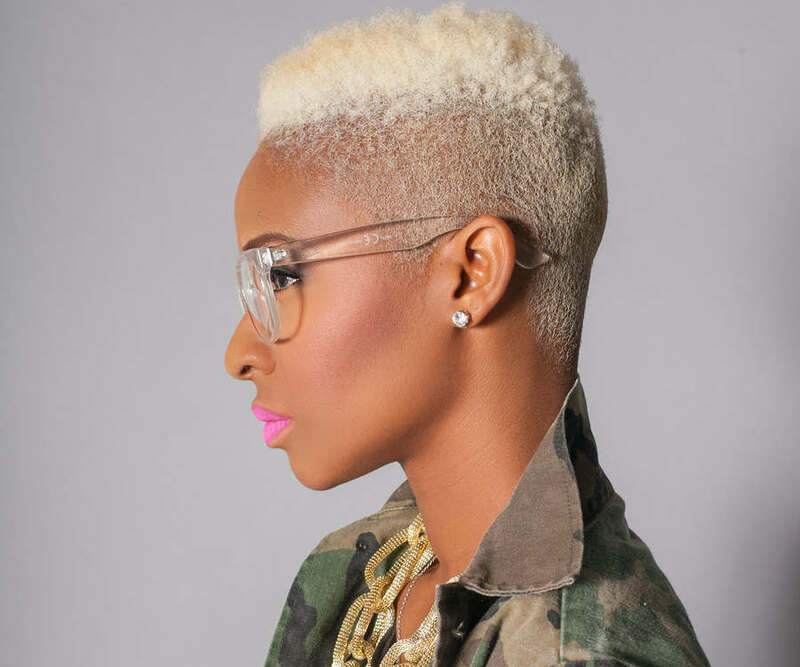 If your hair is really short on the sides, have some fun and get a few creative designs “drawn” into it with the help of some clippers. A professional barber can come up with all kinds of things to put onto your head. This really is the ultimate Mohawk. Lots of length up top. Faded on the sides. Hot…blazing, in fact. Here’s a modernized flat-top. 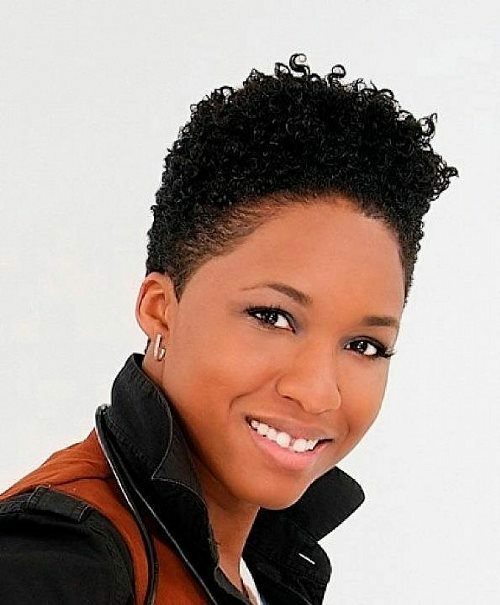 Mostly because the natural hairline is kept and a texturizer is added up top to bring out the natural curl pattern. 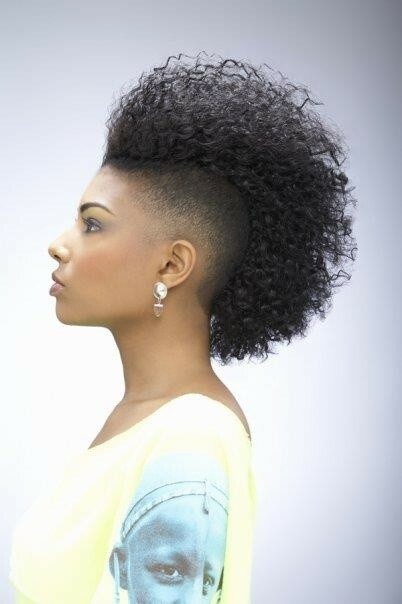 If you really like the Mohawk look but you don’t want to permanently cut the sides of your hair, there is an alternative. Braids the sides into tiny braids. You’ll get very similar results that you won’t have to totally commit yourself to. The color violet is so popular right now. 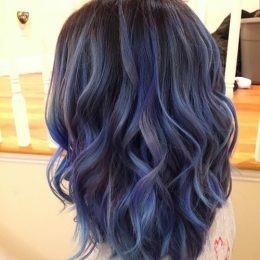 If your hair is really short, dye it that shade. On your brown skin, it will look so pretty. And when you get tired of it, all you have to do is cut it out. Simple as that!